For patients missing teeth as a result of dental accident, extraction, or decay, dental implants are an effective and permanent alternative to traditional tooth loss solutions like dentures or bridges. In San Francisco, Dr. Danielle Marquis and her team at San Francisco Dental Office recommend this restoration for any patient looking for a long-lasting, natural looking tooth loss treatment. Why Should I Consider Dental Implants? While easy to use, traditional dental restorations for missing teeth often fail to fully treat the entire smile. As prosthetics like dentures or fixed bridges sit on top of the gums, they do not incorporate the underlying jaw bone into treatment. Over time, this can cause the bone to deteriorate in a process known as resorption. If left untreated, dentures patients may experience facial sagging, difficulty performing normal dental function, and loose prosthetics. In contrast, dental implants incorporate all parts of the smile, providing patients with a truly comprehensive tooth replacement. Dental implants are created by securing a titanium post where your tooth’s root used to be. This implant fuses with the underlying jawbone, providing a sturdy base for a crown. This fusing process creates a strong bond, called osseointegration, making your dental implants much stronger and sturdier than dentures. Dr. Danielle Marquis is a San Francisco dentist, offering dental implant services. She has extensive experience working with many types of implants. If a patient is needing a brand new dental implant, Dr. Marquis refers patients to a highly-skilled oral surgeon for the implants to be surgically placed. Once the jaw has healed, about six to eight weeks after the implant has been placed, Dr. Marquis restores the implants by securing the crown to the dental implant. The healing period gives time for the osseointegration process to occur, so that by the time Dr. Marquis secures that cap of the implant (crown), the tooth is already firmly set into the jawbone. 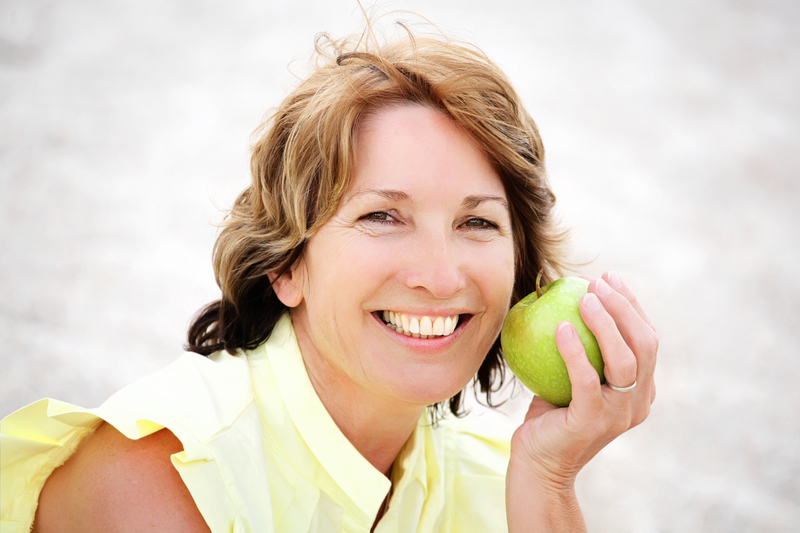 What are the Benefits of Dental Implants over Alternatives? Dr. Marquis offers dental implant restoration for patients looking to complete their dental implant procedure, as well as restore any appliances that may have become damaged due to normal wear. The dental implant process typically involves several dental appointments over the course of a few weeks. These visits help to ensure proper fit and comfort for all of our patients. Each artificial crown is designed to fit the existing structure and color of your remaining teeth. The end result is a fully functional and seamless smile that will last you for years to come. Visit our San Francisco Dentist to Learn More! If you have missing teeth, Dr. Marquis offers comprehensive dental implant solutions tailored to every unique smile. No matter how severe your dental issues, it is possible to restore your smile. If you have any questions about dental implants or implant restoration in San Francisco, make an appointment with us today.